James Cagney stars as the great film star and genius makeup artist Lon Chaney in Man of a Thousand Faces. Man of a Thousand Faces traces the life of this talented screen legend, famous for playing such iconic roles as Erik in The Phantom of the Opera, Quasimodo in The Hunchback of Notre Dame, and many other unique and fascinating characters. 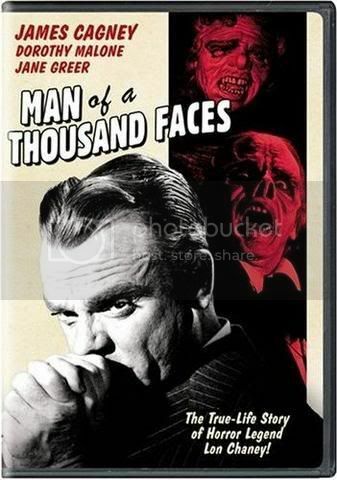 Man of a Thousand Faces will be available from Universal Studios Home Entertainment on June 24!